December 2016: Tips, eNews and More! 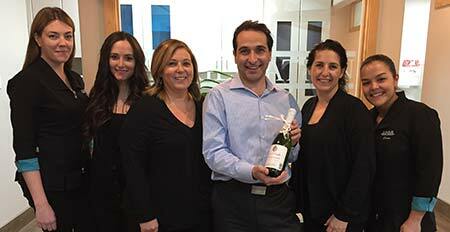 We were very excited to celebrate our Champagne anniversary, being 15 years on the 15th of the month at our current location. Lots of great memories with our fantastic patients and team members. 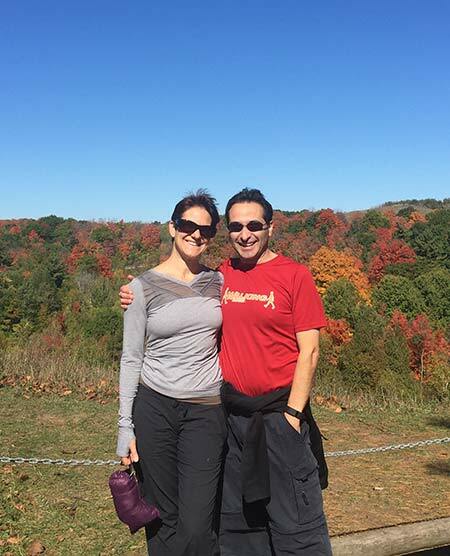 Dr. Dan has definitely taken an advantage of the extended fall weather we have had and found the time to go on numerous hikes around our great city taking in the beautiful fall colours. 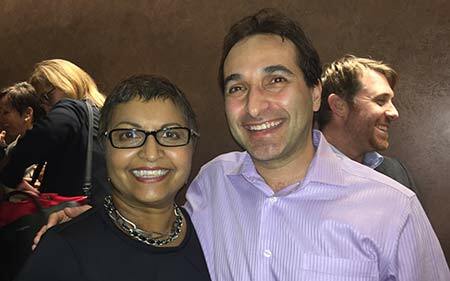 Dr. Dan attended the Toronto South African Film Festival for the third year and was glad to be able to contribute to a great cause. The festival donates all of its proceeds to a great charity, Education Without Borders. He was over the top after he got to meet Suhana Meharchand. Those of you that follow CBC news would likely know her as one of the anchor women. Dr. Dan is a big CBC junky who felt like he was in heaven after getting to speak to Suhana one on one. Both him and his wife Daneal also enjoyed speaking in great length to the main actress/producer and the director/producer at the gala night film, Sink. If you would like a good emotional cry Dr. Dan highly recommends this film. 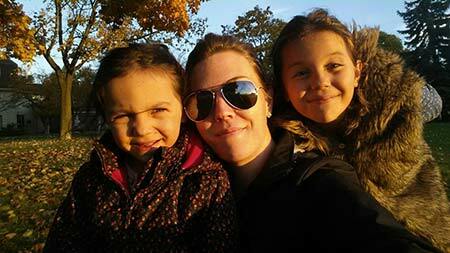 Antonella and her family had a great time during the fall season. The weather was awesome and lots of fun activities. 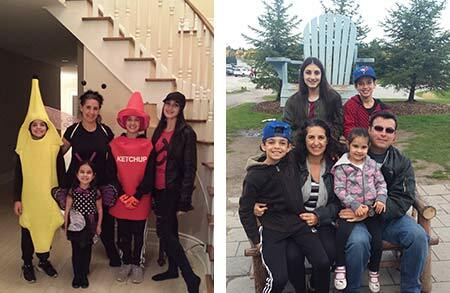 Antonella's children were very excited to dress up for Halloween and finally able to enjoy trick or treating with no rain! Thanksgiving weekend Antonella, Angelo and their children celebrated at Blue Mountain along with other relatives. The weekend was a fun pack time enjoying the village, playing board games and the best part Turkey dinner. They are now looking forward to the winter and play outside in the snow. Nicole had a great fall. Her and her daughters got to go see the Broadway show Matilda. They all loved the show and can't wait to attend another show sometime over the winter. Now that Christmas is around the corner Nicole and family are getting ready for all of the holiday parties. As some of you are already aware Nicole will be leaving us at the end of the year. Unfortunately due to childcare arrangements Nicole is no longer able to work the late evenings. We wish her all the best in her future endeavors. It's been an absolute pleasure working with her and over the last 3 1/2 years with us she has been a great asset to our team and she will be greatly missed. 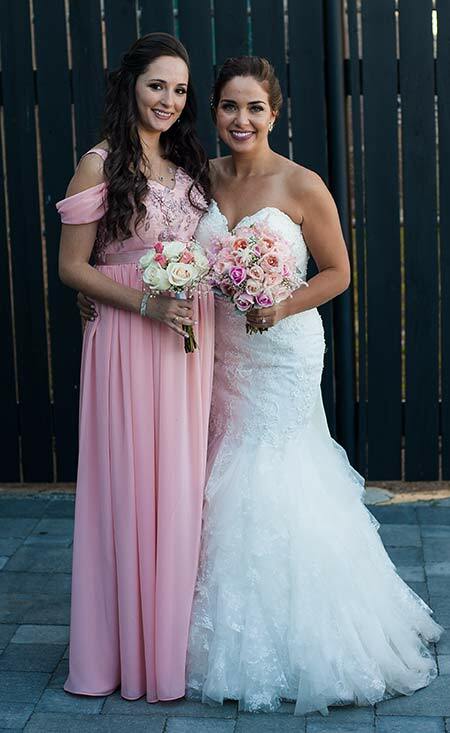 Liat recently had the pleasure to be a bridesmaid in one of her oldest and dearest friend's wedding. It was a great party and everyone had a wonderful time. Liat has been enjoying the wonderful fall season but is looking forward to the winter and going up north for some on it. Celia's fall was a busy one. She had two of her friends who got married in October and her daughter celebrated her 12th birthday on October 19th. 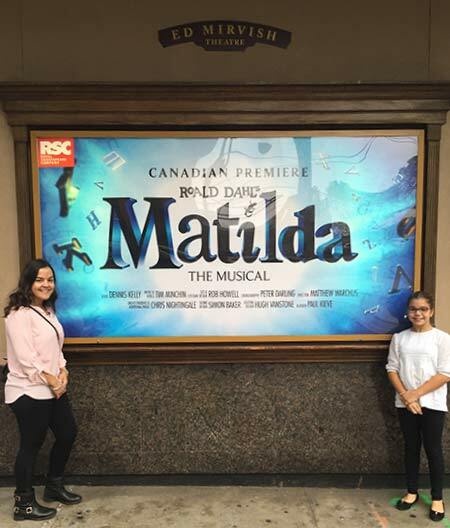 To celebrate her birthday they had a wonderful family lunch and then went to see the musical Matilda. It was Monica's first time to a musical and she had a wonderful time. 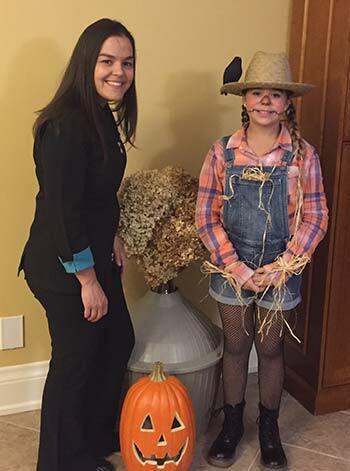 For Halloween Monica dressed up as a scarecrow which Celia and Monica made together, it turned out great and was a hit with everyone. Are You Putting Your Smile Under Pressure? Watching a thrilling movie or the championship game can be a 'nail biting' experience. The excitement has us sitting at the edge of our seats, our hearts pounding... and some of us even taking the 'nail biting' aspect literally. The primary issue with nail biting is the pressure it puts on your front teeth. These teeth are not built to withstand the same amount of pressure that your molars are. Nail biting can cause the enamel protecting your teeth to fracture as well as wearing down and chipping the edges. 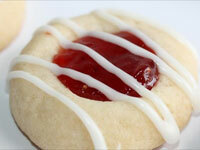 Despite being the hardest substance in your body, enamel is by no means invincible.